Congratulations to Mr Tony May (Class of 57), for launching his book this October. In August 2017, Tony completed his research with over 30 profiles of former staff who had become a head/principal in another school. 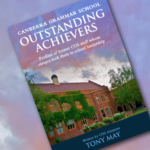 The book, ‘Canberra Grammar School: Outstanding Achievers’, was released at a launch held at the Canberra Grammar School Gallery on 27 October. Tony has conducted comprehensive research about a number of people who have been a part of the CGS community and since reached the principal-level role at another school. Many of the former staff who have been profiled, point to the inspiration, guidance and mentorship given by former CGS Headmasters Mr Paul McKeown and Mr Tim Murray in particular. Tony explains that ‘their leadership indeed inspired many of the profiled to reach the top in their chosen career. His idea for the book started at an Old Boys meeting many years ago, believing someone else might run with it, but early in 2016, Tony decided he would run with it and write the book himself. ‘The book is written as an important part of the School’s history. It hadn’t been done before, and it is my hope that it will be added to in the future, as more CGS teaching staff aspire to Headships,’ he explained. Although the book writing journey posed some challenges for Tony, he also had much to gain from it. ‘I learnt a great deal about some amazing people and their careers. Tracking down those who had since retired from their Headships and making contact with them was one of the challenges faced, ‘Apart from a couple who taught at the School in the 40s who I was unable to find any information on, I believe the book includes every other former staff member who became a head/principal’, he concluded. 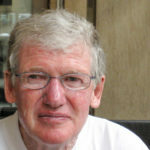 The School sincerely thanks Tony for his ongoing efforts and time spent researching this project, which highlights the talent and ability of many of those who have been a part of the CGS community, and the impact they have had on the educational environment around Australia. All proceeds from the book are being donated to the CGS Foundation.